Halloween is a much-celebrated festival around the globe. Apart from attending Church services and lighting candles on the graves of the dead, Halloween twitter has today incorporated a lot of fun element in the form of visiting haunted attractions, playing pranks, wearing interesting costumes, telling scary stories and watching horror films. 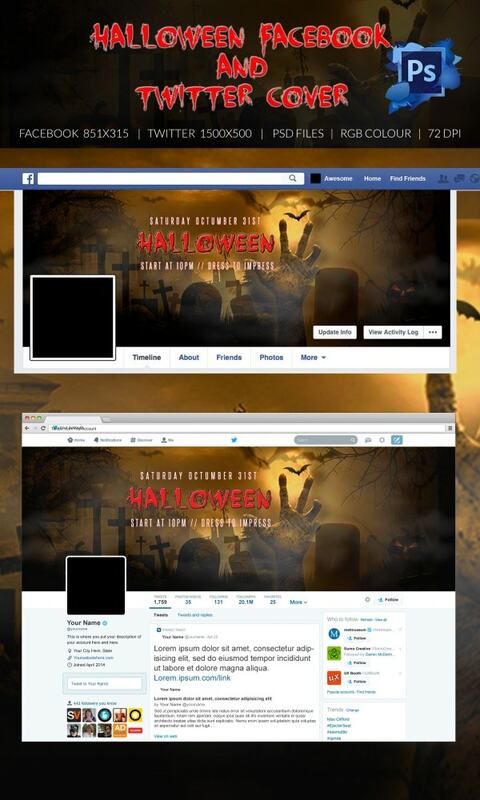 If you have planned an interesting Halloween party ahead, create waves on the social media platform by incorporating these predesigned Halloween cover templates for the invite. 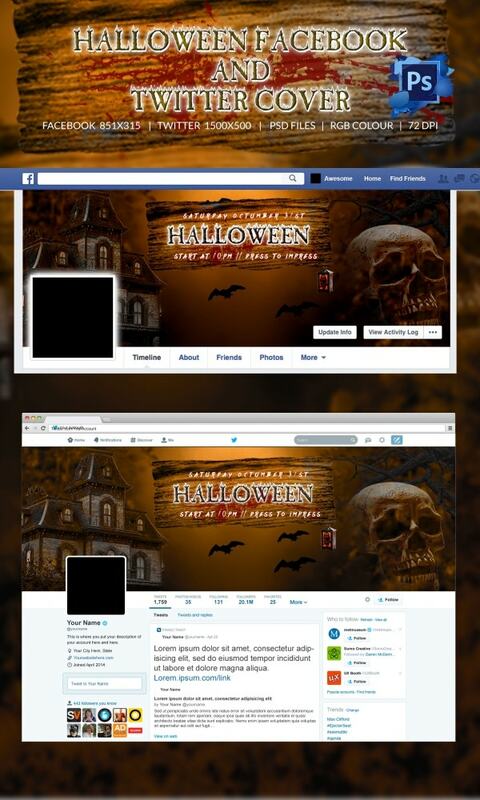 Create a mesmerizing theme cover facebook and twitter cover page for an upcoming Halloween bash and create a lot of hype on social media with this professional predesigned document template. This Halloween party template is an example of an upcoming spooky affair beautifully created with Halloween motifs in black and red. You can download this to customize it into a personalized party invitation. This pre-designed Halloween cover has everything it takes to create a scary ambiance for an upcoming Halloween bash. The graveyard background and the presence of zombies and lit pumpkin heads make for quite an interesting view. Halloween is thought to be associated with the Celtic festival Samhain, where ghosts and spirits were believed to be aboard. With this template, you are sure to attract a lot of party peeps and friends. Halloween is all about attending Halloween costume parties, carving pumpkins, making jack-o’-lanterns, lighting bonfires and playing divination games and this theme can make for a striking facebook cover to invite attention for your Halloween party games and activities. 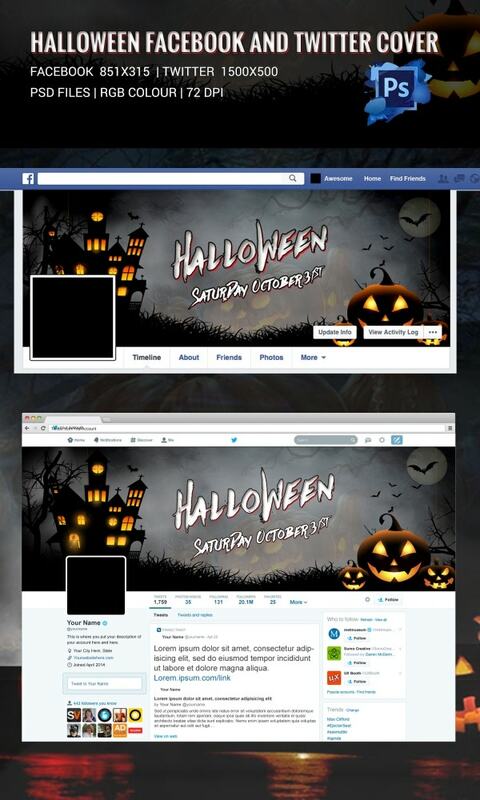 > How to use the Halloween Facebook templates? During Halloween, the souls of the dead are said to revisit their homes seeking hospitality. From times immemorial, places are set at the dinner table and by the fire in every Christian family to welcome them. The belief that the souls of the dead return home on one night of the year creates immense curiosity amongst youngsters and that is how Halloween facebook parties have gained much popularity over the recent years. 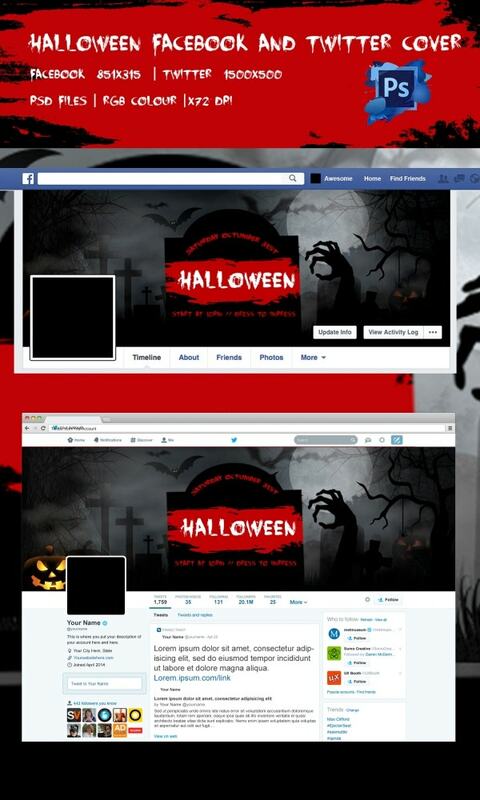 With the templates here, you can save the hassles of hiring a professional designer and make unique and interesting facebook and twitter Halloween cover invites for your party and have a lot of fun. 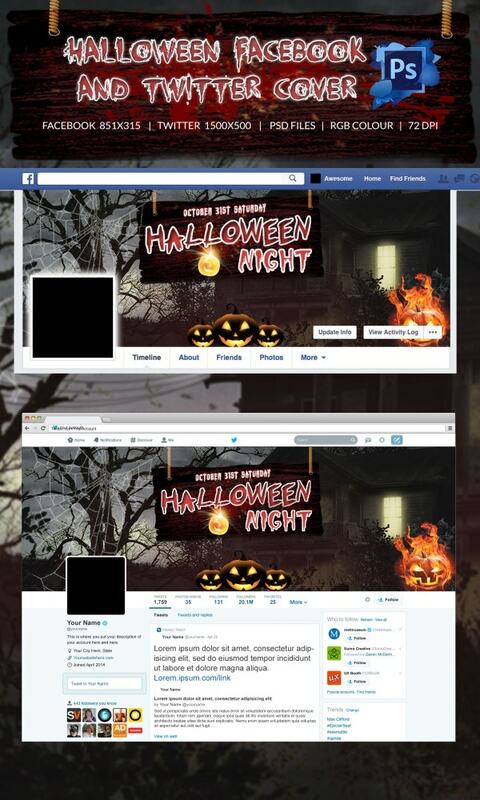 With the easy editable and customizable templates available at template.net, you are sure to create high definition social media cover invites for your Halloween party and invite lots of attention. These 72 DPI Halloween templates are available in PSD File and they sport RGB Color and interesting images, color combination backgrounds and motifs.